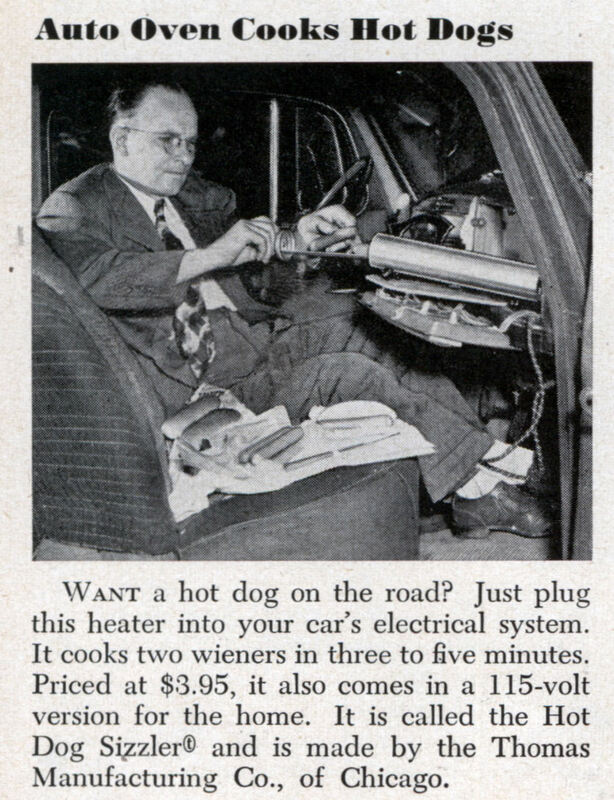 Want a hot dog on the road? 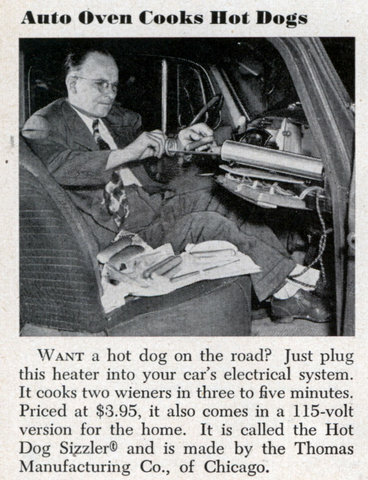 Just plug this heater into your car’s electrical system. It cooks two wieners in three to five minutes. Priced at $3.95, it also comes in a 115-volt version for the home. It is called the Hot Dog Sizzler and is made by the Thomas Manufacturing Co., of Chicago. I’m trying to remember when is the last time I just had to cook a hotdog in my car.